Steeped in History and Dressed in a Most Beguiling Landscape! Today, Duxbury is one of suburban Boston's most sought after year round communities - offering excellent public schools, a wonderful quality of life; convenient commuting access to Metropolitan Boston (by car and commuter rail service); extensive natural landscape offering access to myriad of exceptional recreational opportunities nearby (Duxbury Beach, boating, fishing, walking trails, golf, tennis, indoor swimming pool, etc) for residents; the Duxbury Performing Arts Center and the Ellison Center for the Arts - and all in a resort atmosphere that lets you enjoy that "vacation living" - year round. A recent issue of Coastal Living Magazine naming Duxbury as one of the Happiest Seaside Communities in America to call Home! Once known by the local Wampanoag Tribe as Mattakeesett (the place of many fish), Duxbury, located in Plymouth County, was one of the first areas to be settled beyond Plymouth by the Pilgrim settlers in the early 17th Century. Duxbury was primarily a farming community throughout the 17th and 18th centuries. 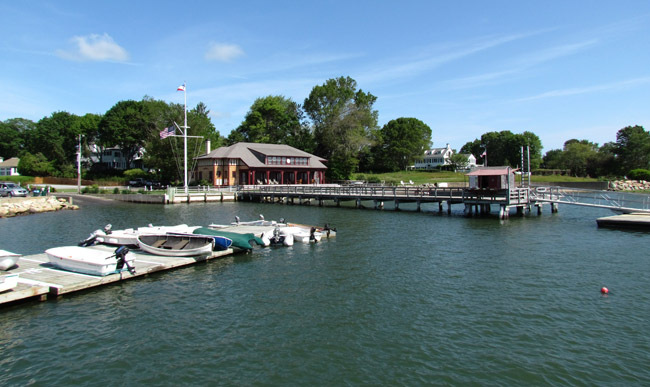 However, like other communities located along the coast of the South Shore, the shipbuilding era, which began after the American Revolution, was a significant period in Duxbury´s history. America, a new nation, was granted fishing rights off the Grand Banks and this spurred on the building of large vessels - fishing schooners. As time went on, sea borne trading opportunities opened between America and many other nations ? and sailing ships were needed to transport the trading cargo to and from the region. The size of the ships built increased as trade opportunities grew and Duxbury, like the neighboring settlements of Scituate, Marshfield and Norwell began crafting the larger vessels, many with three masts. Impressive fleets were developed and Duxbury residents associated with the efforts prospered. By the middle of the 19th Century, Duxbury boasted approximately 20 shipyards and was the reported to be the largest producer of sailing vessels on the South Shore. With an average of ten vessels built every year during the 40 year period ending in 1983, the accomplishments of the Duxbury shipbuilding families rank among the more significant in Massachusetts maritime history. While there is little remaining physical evidence of those Duxbury shipbuilding sites, the town is very fortunate to have several wonderful Federal period houses which have survived through today, providing a glimpse into Duxbury´s rich history. Take a walk or drive along Washington Street, Saint George Street, and Powder Point Avenue, and you can see this "living museum" for yourselves ? many of these homes stand proud through generations of use and exposure to the New England climate and appear to be wonderfully intact. It will be hard to find a more stunning stretch of roadway that proudly boasts an amazing window through time of Americana from the later 18th and early 19th centuries. By the mid 1800s, the wooden shipbuilding industry suffered from increasing competition brought on by other forms of transportation, such as the expansion of railroads across the continent and the use of steamships across the Atlantic Ocean and beyond, both of which sent the shipbuilding industry into decline. By the latter 1800s, Duxbury´s rural charm and stunning landscape along the coast began to attract summer visitors, quickly gaining a reputation of a great summer resort. Train service from Boston offered city-folk the chance to get away for some rest and relaxation along the shore in Duxbury in the various board houses and cottages as well as a hotel. The construction of Route 3 in the mid 20th century made access between Boston and Duxbury much more practical that the local year round population boomed. The US Census reported, based on its 2000 census data, that Duxbury's population was just over 14,200. In addition, it's geographic coverage are was reported at 37.62 sq miles of which 23.75 sq miles was land and 13.87 sq miles was water. To view how these statistics compare with other communities on the South Shore and to Massachusetts in general, click here. If you are considering relocating to Duxbury or the surrounding area and you'd like to learn more information about the town, the South Shore region or Massachusetts in general, the Commonwealth of Massachusetts provides a wealth of information online. For further information on Duxbury, as a community, the town's web site is very helpful but you can also visit the state's community profile for Duxbury. If you are searching for information on the Massachusetts public education system, check out what's available on the Commonwealth's educational profiles site. Furthermore, if it is general knowledge about the Bay State, a great place to start is the Commonwealth of Massachusetts web site. Click here to search current real estate in Duxbury, MA.